NEW YORK—Manhattan rents have dropped for the third consecutive month, but Brooklyn’s rents continue to rise, according to a November Douglas Elliman report released on Dec. 11. Manhattan’s median rental price dropped 3 percent to $3,100 while Brooklyn median rental prices rose 3.8 percent to $2,800 per month. Overall the rents are still high and inventory is increasing in Manhattan. According to appraiser Jonathan Miller, the author of the report, landlords are making concessions to keep vacancies low. Miller expects Manhattan rents to go up and down before reaching a plateau, and to stay strong overall. Vacancy rates in Manhattan went up the most in seven years, jumping from 1.59 percent to 2.8 percent—partially due to the robust sales market. In addition to vacancies, 2,385 new rentals were added, increasing inventory by 34.4 percent from the same period last year. Miller stated the time it takes to market a property in Brooklyn has dropped and the rise in prices indicates landlords are optimistic. The average number of days a property is on the market dropped from 45 to 42 days. Price increases in Brooklyn were mainly in the entry-level market. Studios rose 9.3 percent and one-bedrooms rose 4.9 percent. Brooklyn isn’t the only borough people are flocking to because of Manhattan’s high prices. “Buyers are looking in every neighborhood,” said Rosa, head of Douglas Elliman’s Long Island City office, and renters are as well. The office is the only one a major NYC brokerage has opened in a Queens neighborhood. It was opened to market the new development condos and rentals being developed in the area. In Long Island City and Astoria, which are still easy commutes into Manhattan, “prices are rising so much it’s hard to say it’s still a deal,” says Mark Menendez, director of rentals for Douglas Elliman. Rob Mackay, spokesperson for the Queens Economic Development Corporation, agrees that the influx is concentrated on the waterfront where residents are just a stop away from Manhattan. Growth in the borough has surpassed that of the city’s average with the population reaching 2.3 million in 2012. “Queens is safe, which is the foundation of any desirable neighborhood,” Mackay said. The Queens borough—which has the second highest share of immigrant population in the country at 48 percent—is attracting new residents, renting and buying properties from luxury buildings in Long Island City to further out. Transportation adds value to a property, but people aren’t just moving farther from neighborhoods with easy access to Manhattan because of prices. There’s no inventory, so people are willing to move blocks and blocks further from public transportation than before, Menendez said. 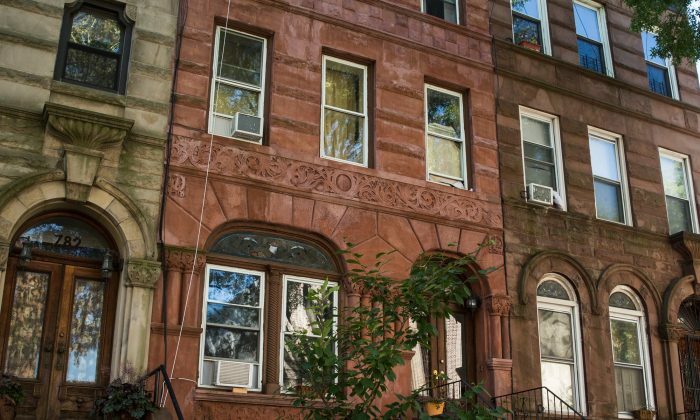 The number of new rentals in Brooklyn dropped 6.5 percent from the same time last year to 272, and renters are likely to resign to these higher prices, according to the report. But renters today are also looking for value in many different ways, Menendez said. There are properties in Manhattan that will linger because they don’t provide the lifestyles renters want. “Redhook is also seeing a lot of interest, which is strange,” Menendez said. Renters there are looking in out of the way neighborhoods without easy access to transportation, unlike the 15-minute commute to Midtown Long Island City renters get. “It’s a lifestyle choice,” Menendez said. Entry-level units are still the biggest market there, but renters make the choice to live in the area not as an alternative, but because of the community oriented neighborhood.